Earlier this year, I published a tutorial on current probes and their application in Interference Technology (3/20/2012). The discussion included how to make your own probes from common ferrite cores, as well as commercial probes and how the DIY probes compared to the commercial ones. I finally wrapped up with how to use current probes to assess common-mode currents in I/O cables and how to predict pass/fail for radiated emissions by knowing the CM current on the cable. 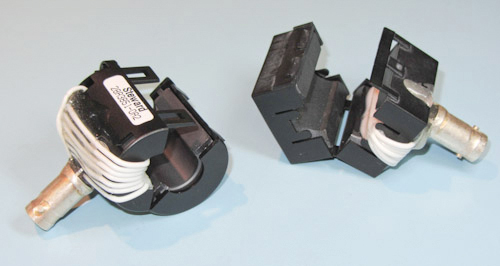 Simple current probes made from clamp-on ferrite chokes. I just posted some info on the announcement yesterday by the FAA on plans for an industry working group to study the current policies for Personal Electronics Devices (PEDs) during in-flight operations. There is a 60-day opportunity for public comment. 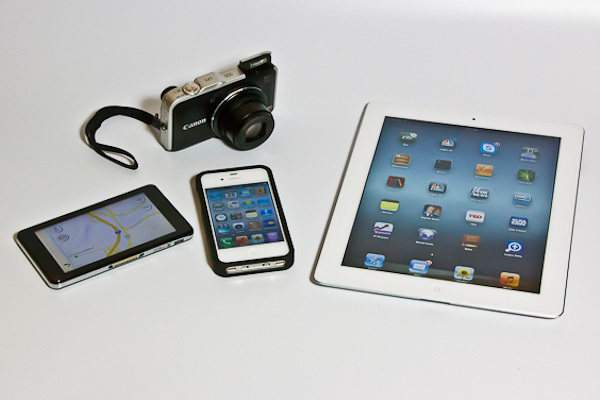 Typical personal electronic devices (PEDs). The camera includes a GPS receiver, as does the GPS navigator. The mobile phone and tablet computer include PCS phone, GPS, Wi-Fi and Bluetooth connectivity.